Some of you might have heard the question, “What’s more important? The story or the characters in it?” When I had just started writing, I wholeheartedly used to answer that the story was more important than anything. “Take the world’s best characters,” I used to say, “and put them in the world’s most boring story ever written. See what happens then.” In part, this is true, but only in part and a very small one at that. Imagine the best and fastest car in the world. 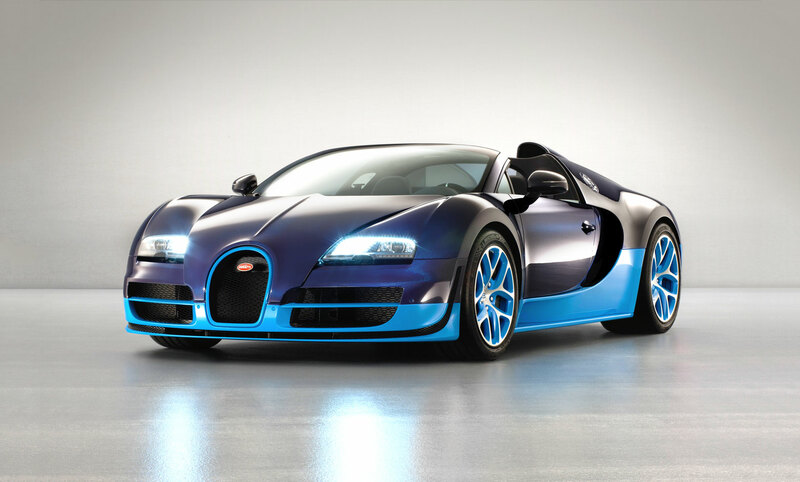 Which is it today, Bugatti Veyron? Is it still the fastest supercar? You can probably tell I’m not into cars that much. Now imagine the Bugatti doing absolutely nothing other than sitting there, all polished and shining. But immobile. Just parked there. How long would it excite you for? 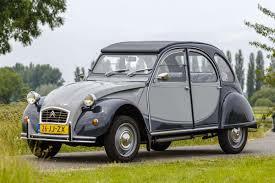 Now picture a Citroen 2CV. It’s an old car. It’s a funny looking car. It certainly isn’t fast. In fact, its best feature is that it’s too damn hard to tip it over. But it’s moving. Or crawling, in this case. Still, it’s doing things. It’s panting up a small hill and it comes bouncing down after it reaches the top. The centre of its gravity sways left and right like a pendulum as it comes crushing down the slope at the supersonic speed of 80 km/h (50 mph). But it’s moving. I’m willing to bet that after you got your breath back from the uncontrollable laughter, and finished taking selfies in front of the Bugatti (no duckfaces please), you’d stop staring at the glamorous supercar and paid attention to the 2CV. If not for an interest in the car itself, then an interest in seeing how many parts of it would fall off by the end of its journey. And all because it’s doing more than just sitting there. Pick a story. Any story. Remove the characters. What do you get? Not much. So, if gasoline and petrol are the fuel that powers cars and almost every engine there is, then characters are the story’s fuel. Even the simplest of fairy tales and stories that parents and grandparents tell kids to put them to sleep need characters to set them in motion. Without them, what we end up with is a world that feels almost dead. Or a story that nothing happens. So what does it take for a writer to create believable characters? Some writers are visual people and require a picture or a sketch of the character they’re about to create. They need to see the character’s face in order to get a feel of their actions, their behaviour, perhaps even the sound of their voices. Some writers use Pinterest for this and create boards to help them visualise their creations, and imagine them speaking the character’s lines. A lot of readers are like that. Occasionally, I do it too, but not in terms of the actor’s appearance, rather how I’d like the lines to sound and perhaps how I’d like my character to behave (anyone who has read my work knows I use a lot of action tags – which is not necessarily a good thing, by the way) between dialogue lines. Disclaimer: I don’t imagine famous actors playing the role of my characters just because I want to see my work on the big screen. On the other hand, I also don’t object to it, so if you’re someone who’s on the lookout for ideas for new movies, let’s talk business. Some of the writers who employ this technique swear that it helps them create better and more realistic characters. I can’t really tell if that’s true for the readers as well or not. Usually what us writers have in our minds is different from what a reader creates with theirs. After all, part of the magic of reading and writing is this. Other writers interview their characters. The way this works is rather simple; writers ask their characters a long list of questions about their past, their wants and their fears, how they’d handle a situation, how they’d reply to a question etc. What those writers expect to achieve with this is not only to get a better understanding of who the (imaginary) person sitting across them is, but also, through the multitude of questions, to actually “hear” their characters talk and sketch their mannerisms out. Some writers employ personality evaluation. I did this for my current WIP (work in progress). In this case, after having employed one or more of the other methods mentioned here, tries to understand their characters’ MBTI (Myers-Briggs Type Indicator). This instrument gives answers to questions about what kind of person our character really is. Is he/she an introvert or an extrovert? Someone who perceives the world through their intuition or through their senses? When faced with a problem, does he/she use logic to solve it? When used properly, this indicator is a powerful tool in a writer’s hands. Thanks to it, we have a far better idea of how our characters are supposed to act when pitted against the multitude of problems we, the creators, throw at them, especially in stories that are less about the action and more about character interaction. Another way to have a better understanding of our characters, is by answering some key questions about them. For example: what are the character’s abstract wants? For those familiar with the Snowflake Method, this question is related to the character’s motivation. The answer to this question is always related to the character’s past and has shaped him/her into the individual we see in the story. Another key question is, what are the character’s concrete wants? In other words, what are the character’s goals in the story? This is what drives the character forward. It’s almost always related to the events taking place in the story. What are the character’s conflicts, what prevents him/her from reaching the goals? Also, what will the character’s personal challenge be? What will he/she learn at the end of the story? Of course, in real life there is no such thing as perfection (being a perfectionist, this should also serve as a message to myself…), so writers need to bestow flaws to their characters, if we want them to feel real. Everything mentioned above (the MBTI, the wants, goals, and needs, the psychological traits etc) also create flaws. Characters who are introverts may go to extremes and shut themselves out from the rest of the world. Characters who think less before they act may end up getting into trouble. Those who have suffered a great tragedy in their past (character motivation) often see the world skewed and ill-perceived. Depending on your story and setting, this creates a range of problems for them to overcome, thus making them more realistic. Much like us, characters should change over the course of the story. It doesn’t have to be something big, as long as there’s change. In my current WIP (my cyberpunk story), my main character changes his view and belief about the corporate conglomerate that governs his world, but he also changes the way he perceives the world he inhabits over time. The change doesn’t have to be a positive thing, unless your genre demands it. It doesn’t have to be something that stands out like a fly floating in milk. It can very well be something subtle, like being a little bit more confident, when dealing with a character who has self-esteem issues, or for a solitude person to accept someone else’s company. The possibilities are quite endless. In the case of villains, writers should keep in mind that every character is multidimensional, which means that the bad guys, a) always have a reason they turned out the way they are, b) should have a redeeming quality. Which also means, even a villain can change by the end of the story. And yes, this also includes turning into a really REALLY bad guy. Remember, change goes both ways. When done right, villains dominate the story and make it so much more enjoyable. Of course, that’s all easier said than done, which is why we very often come out of a theatre thinking that the movie was mediocre at best, despite the excellent acting, remarkable direction etc. Or we end up putting a book down and never getting back to it. See, characters are the ones who take us by the hand, turn themselves into vessels, and transport us to their world. They’re the guides. It is their stories we experience. And it won’t matter if the world they take us to is the best and the events that take place are the most thrilling anyone has ever experienced. It doesn’t matter. If the vessel is not good enough, chances are we won’t enjoy the ride. This entry was posted in Advice, Uncategorized and tagged advice, character, characters, creative writing, fantasy, fiction, novel, novel problems, novel writing, personality tests, Plot, revisions, story, writing, writing advice, writing problems, writing tips. Bookmark the permalink.